Sanjivani, developed by Mitesh Sheta, is an Ayurvedic home remedies book which can help you find all of the ancient Indian Ayuvedic practices that help treat certain illnesses, possibly cure certain diseases, whiten teeth, regrow hair, and more. What is Ayurveda or Ayurvedic medicine? It is a system of traditional medicine native to Indians and is a form of alternative medicine. Ayurveda translates to “the knowledge of long life.” In Sanskrit, words ?yus, translates to “longevity”, and veda, translates to “knowledge” or “science.” Even though many people think lots of diseases are impossible to cure, the practice of Ayurveda has shown positive results for a lot of patients. We are seeing Ayurvedic medicine adopted throughout the world today. Take a look a Pulling Oil to whiten teeth, as well as Ayurvedic herbs in shampoo to help with hair loss. 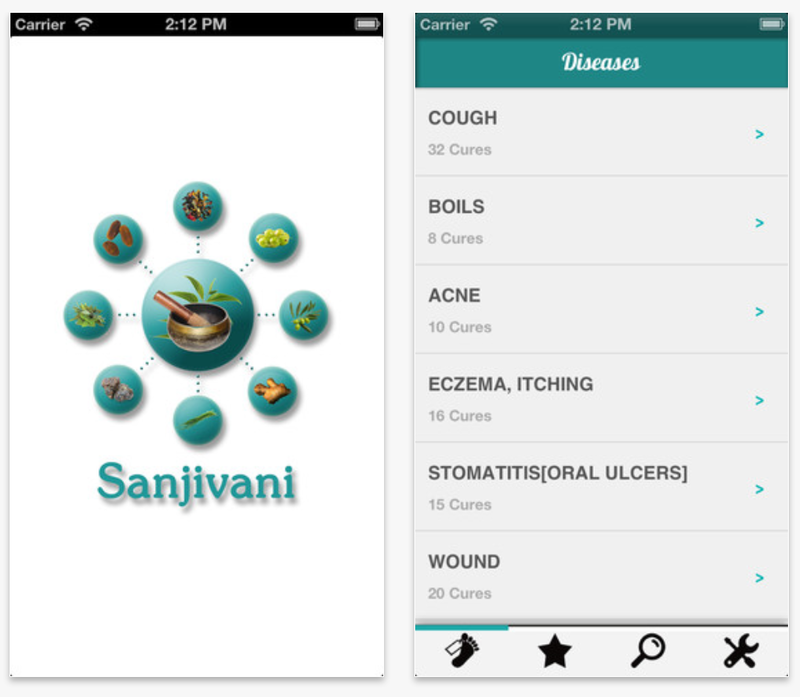 Sanjivani is a universal application for Apple’s iOS devices meaning you can access it on any device. This application allows you to scroll through all of diseases or issues you may have, search for specific cures bases on the disease name or herbs name. Once you have found some of your most common cures you can save them to your favorites so that you can quickly access them later. The app is indented to help people save money by curing them self of loved ones by using the app. Most of this information can be found searching the internet, but Sanjivani makes it very easy to have all the information in one place. Sanjivani is currently FREE on the Apple App Store and is worth checking out to see if any of these home remedies can help with your disease.